Amazon Lowers S3 Storage Prices Again. Is It a Commodity now? Since the beginning of this blog in 2008, I’ve written many times about Amazon and Amazon Web Services. 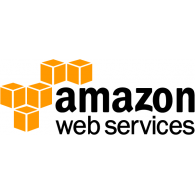 I use AWS tools like S3 every day for mission critical web projects and applications. I back up sites there, I serve media from there, I compute there. Even with all that, I barely scratch the surface when it comes to AWS products. There are so many products they continue to roll out, including their new business analytics tool, it’s difficult to keep up with. Today is no different. Starting Dec. 1, 2016, Amazon is again reducing the pricing of storage in S3. For several areas, the cost per GB will be $0.023 for the first 50 TB you store. Two cents a gigabyte. Crazy. I think you’d be surprised to know that many large service providers use Amazon Web Services to power their infrastructure, even big names like Apple. Yes, much of Apple’s iCloud offering is powered by Amazon. Morgan Stanley estimates that Apple spends $1 billion yearly on Amazon’s web services. Same goes for Netflix. Rather than make huge investments in IT and infrastructure, using AWS ensures they can scale, soI can watch Black Mirror with no buffering in beautiful 4k. You can watch a video case study on Netflix’s AWS usage. The list goes on and on: Spotify, AirBNB, Slack, Major League Baseball–they all use AWS because the service is robust and the costs are low.